Adobe brings “putting words into someone’s mouth” to a whole new level. Last November at the Adobe MAX Conference, Adobe provided a sneak peek into the development of their audio editing software, Project #VoCo. The ground-breaking technology is being described as the “Photoshop for audio”. Aside from standard audio editing features, this program may revolutionize sound editing with its profound feature. Project #VoCo can examine and replicate someone’s voice. In other words, users can generate words and phrases that sound as if they are spoken by a specific speaker. How does Project #VoCo work its magic? All it needs is a 20-minute sample of a speaker’s voice. 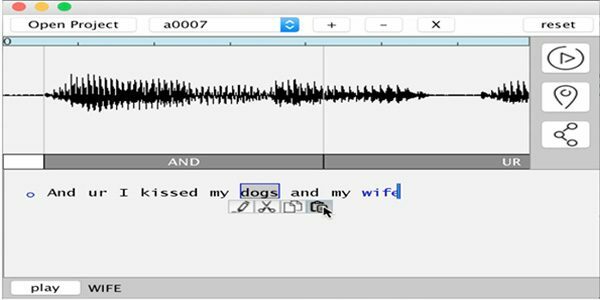 The program according to TechCrunch “then analyzes the speech, breaks it down into phonemes, transcribes it and creates the voice model”. Users can then input any text that will sound as if spoken by the speaker. If released, the software would be a luxury for recording voiceovers, podcasts and audio-book narrations. 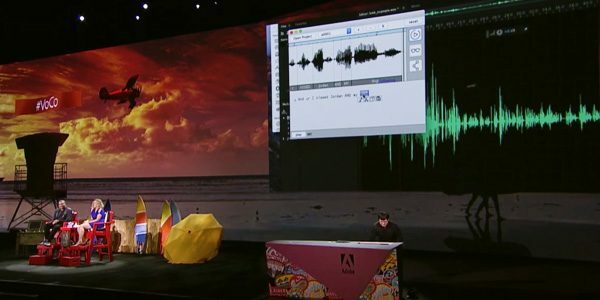 There will be no need to rebook voiceover artists or recreate a specific recording environment, Adobe writes. During the conference, Adobe developer Zeyu Jin provides a live demonstration. The example phrase spoken by a man, “I kissed my dogs and my wife” was changed to “I kissed Jordan three times”. Although the demonstration raised laughter from the audience, it also raised questions about the issue of impersonation. As magical as it all sounds, privacy concerns have already been evoked. University of Stirling’s media and technology professor Dr. Eddy Borges Rey told BBC, “this makes it hard for lawyers, journalists, and other professionals who use digital media as evidence.” The application can jeopardize trust in journalism and poses serious security threats if misused. During the conference, Jin says “people can’t distinguish from the fake to the real one, [Adobe] is working harder on trying to make it detectable”. Jin mentions the use of watermarking detection, a common way to identify copyrighted material in forms of media. It is not certain if the software will be available as a future product. As of now, no release date has been announced. Photoshop revolutionized image editing and opened many doors to creative opportunities. Is it time to bring this magic to the world of audio editing as well?